I was beside myself with despair. After months of building my staff project for The Permanent Way Model Forum Staff Competition (quite a mouthful! ), my prepared entry, numbered 20,000 and named Eastern Eagle, suffered a catastrophic failure. Unable to source a replacement chassis in time, I looked around my spares box for whatever I could find, to make a new entry. A Trix A2 bodyshell, parts of a Thompson B1 still extant from a K1 build which is ongoing, a double chimney, a spare four wheeled LNER bogie, and a tender drive chassis suggested I could make something from these off cuts and spares, which were otherwise going to be consigned to the spare parts bin for all eternity. 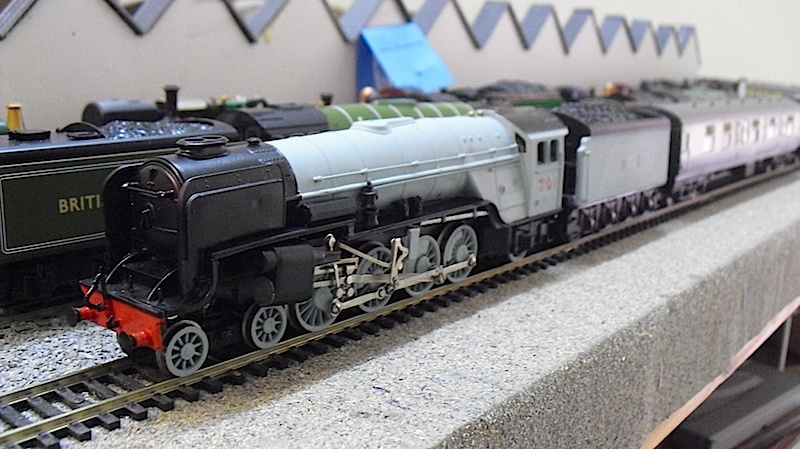 Then a glance in a charity shop, and the sight - for £15 - of a decrepit old Hornby 9F, had me thinking. What about a Thompson 4-8-2? 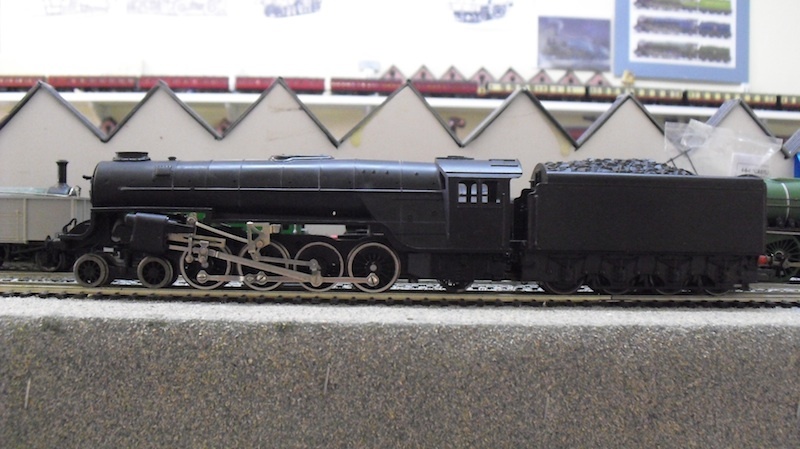 I started measuring up the A2 bodyshell against the 9F frames. It could be done. Lots of modifications to the running plate, and the front and rear portions of the frames could give me a 4-8-2 with the necessary cartazzi (flangeless, thanks to a spare set of flangeless Hornby wheels). Clearly the stovepipe chimney gave the locomotive a rather utilitarian feel, but the bufferbeam was not low enough. I decided to change both, and made the bufferbeam deeper while also fitting sprung LNER pattern replacements. 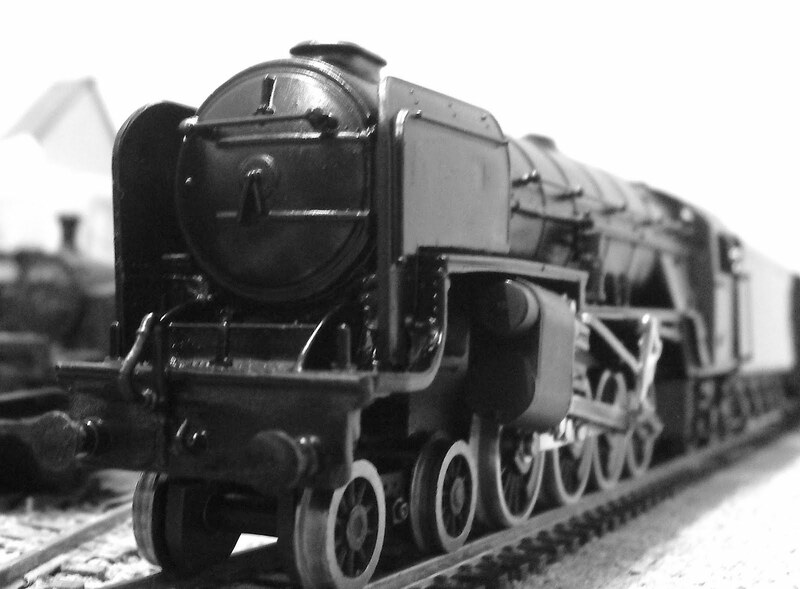 The chimney was swapped for a rimmed alternative - as it was on the A3 Humorist for a short time - and I started working on a set of smoke deflectors to add to the look. The locomotive is numbered 701, with the wartime branding of NE on the tender, as per Thompson's renumbering scheme. 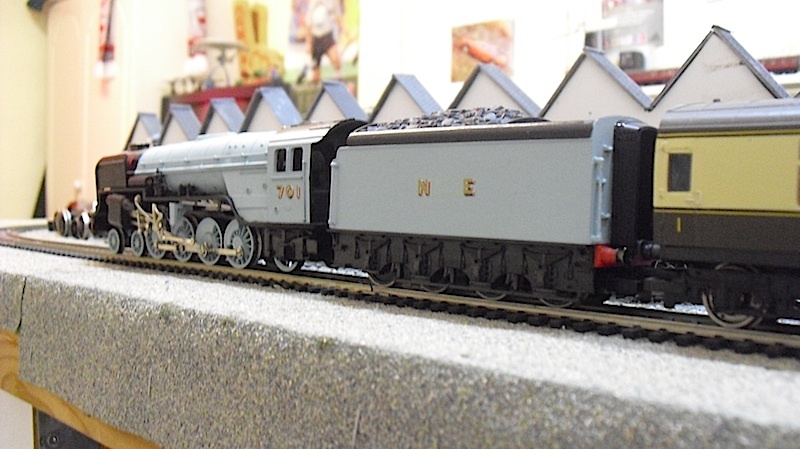 701 follows on directly from Gresley's prototype, no 10,000, as it was when it was renumbered 700 (and later 60700). The locomotive has a name - which hasn't been fitted yet, as the custom nameplates are yet to arrive (but I have seen the artwork for them and I am delighted with them). Overall, I'm rather pleased with 701's appearance. The mixed traffic idea - fast fitted freight, but equally at home on passenger work, was to re-emerge with the Riddles 9F about twenty years later than I am dating my "never was" locomotive. Eight driving wheels for maximum adhesion, with a cartazzi and leading four wheeled bogie for smoother riding, along with a 250lb boiler and kylchap exhaust - it would have been a beast, to say the least! 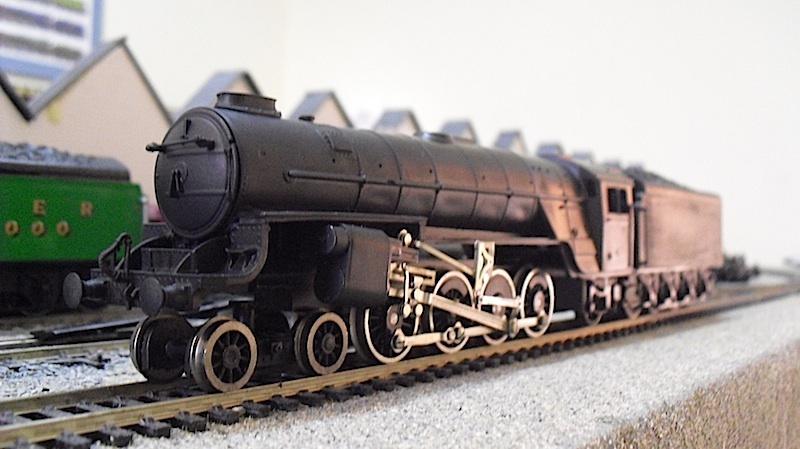 Of course, some notable problems with the engine - it needs a Gresley A3 cab to truly be "Thompson-esque" (but I had none spare), and the banjo dome (pre-war style!) needs changing to either a round top dome, or a banjo dome. At the end of the day, it's been made in a little under six weeks, and I'm rather happy with the outcome. Now for the Staff Competition, which is due to commence next Tuesday, with Messers Rose, O'Connor and Roberts in attendance with their own creations. 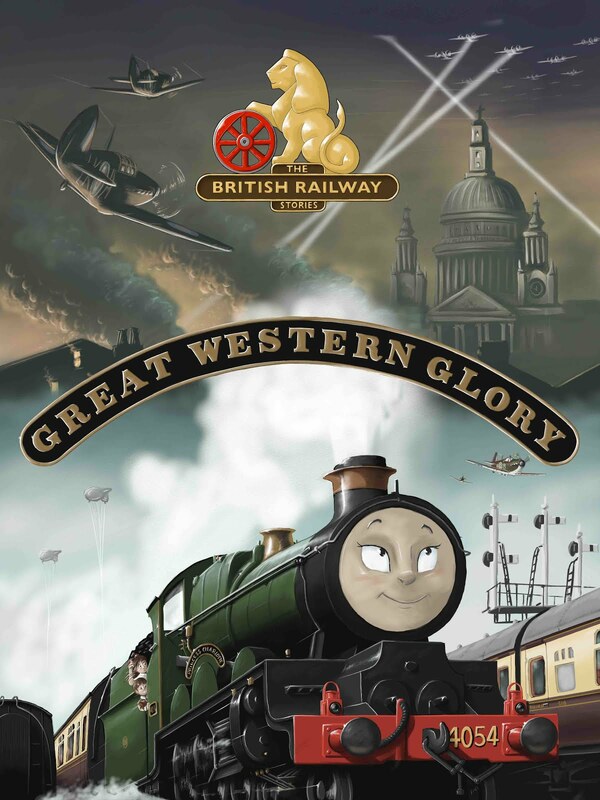 For one, I am worried by the presence of a certain furious locomotive...but we'll see how it all goes, Top Gear style, in a future Youtube video!